All of today’s texts have themes that are important to children. But, the children will not hear them as the texts are read. They will depend on the adults to present the themes in words and ideas that connect to their world. This is a poem for the Bible students. To follow it the reader needs to understand the situation of the returned exiles and interpret all the wedding images. Children are lost in it. But, they can appreciate what Isaiah is saying if it is unpacked for them.
' The bottom line is that God does not let people who are in really bad situations stay stuck there forever. God works to get justice for everyone.
' Rather than explore the wedding images, think about the names people get called or the labels that are attached to them. You are dumb, silly, clumsy, weird…. You can’t sing, play soccer, do math, etc. … The assumption is that not only are you that way now, but you will probably never be any different. You are hopeless. When we are called such names we can start believing them. Isaiah insists that we must not do this. Even when we look less than wonderful, God is at work in us making us into the amazing people God created us to be. We are to think about what God wants for us not the names we get called now. There is hope. This can also connect to the gifts God gives as described in today’s epistle.
' Serendipitously January 21-25 is “No Name Calling Week” this year. This week is sponsored mainly in schools to combat the name calling that underlies bullying. Go to No Name Calling Week to find a wealth of resources. Simply mentioning this campaign in worship lets children know you are aware of what is going on in their world. Exploring it further in worship using some of the resources on the site can help children see name calling as a religious as well as ethical issue. “Words Can Hurt” is this year’s theme.
' 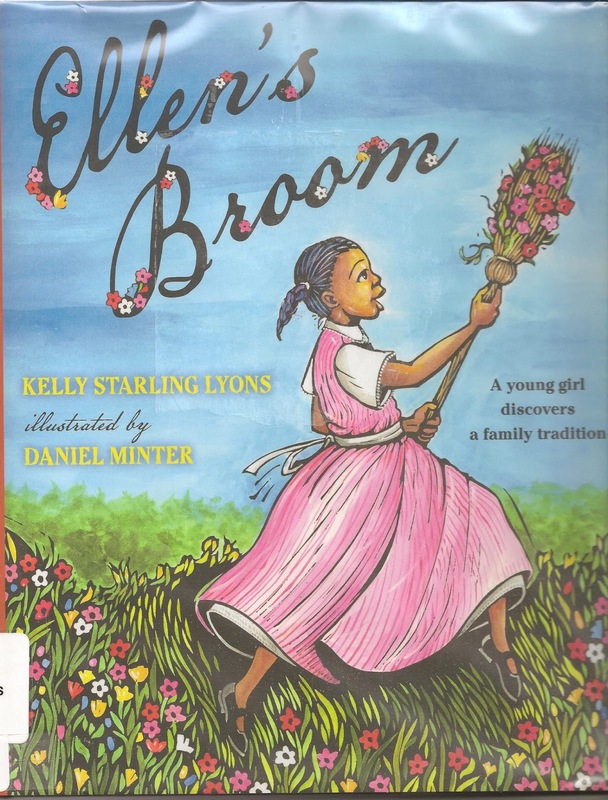 Ellen’s Broom, by Kelly Starling Lyons, is one way to explore the wedding images in the psalm and to connect to Martin Luther King, Jr.’s Birthday celebration themes. 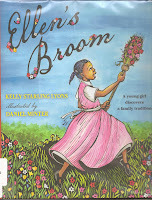 It is the story of a couple who jumped the broom as slaves going with their children to the courthouse to get a real wedding certificate as a legal couple. The story which is told by the daughter can be read aloud in 8 minutes. But, you could simply show the last picture in the book (a stone fireplace with the broom and wedding certificate hanging above it) and explain in your own words what happened. Urge families to check the book out of the library or send a copy with the children to read and discuss further in classes.
' BTW I learned of this book on the website Children’s Literature: A Resource for Ministry which is a gold mine. Check it out at Children's Literature: A Resource for Ministry. The Roman Catholic reading for today is Psalm 96:1-10. Both of these psalms are filled with short statements praising God’s power. To help children follow either one, have them read responsively between halves of the congregation, between a leader and the congregation, or between a choir or children’s class and the congregation. Before reading explain that the psalm is a collection of praises for God and invite worshipers to join in the praising by reading their part aloud and reading the other parts silently. Remind them that they are talking to God while reading both aloud and silently. The TEV is the easiest translation of these psalms for children to understand as they read. Go to Year A - Proper 24, 29th Sunday in Ordinary Time for one responsive reading script for Psalm 96. This week we identify and celebrate all the gifts God gives us and recognize that we are meant to use these gifts not just for our own good but for the good of the people around us. Next week focuses on the fact that all the gifts support and add to each other. No gift is more special than any other gift. All are needed. Finally, whatever our gifts are we are to use them lovingly. The love is more important than the gift.
' Spend time in worship identifying some of the many gifts God has placed in the people of your congregation. Start with the obvious ones like the musicians and teachers. Go to those who organize whatever needs organizing and those who are good listeners and “are there” whenever someone needs a friend. Be sure to include gifts seen in children and youth as well as in adults.
' Give children (and all worshipers?) a sheet of paper featuring a large gift box. Encourage them to draw or write about gifts God has given them. Suggest that people sitting near a person might add a gift they see in him or her. Tell them to take the paper home and post it where they will see it each day this week so they can add to it as they recognize other gifts God has given them.
' After identifying and celebrating gifts, reread and explore verse 7’s insistence that the gifts are given not just for us to enjoy for ourselves but to use for the good of people around us. Use specific examples, e.g. there are gifted athletes who use their abilities to win competitions and maybe make money for themselves and enjoy being famous. There are other gifted athletes who also use their gifts to coach others the sport. Paul wants us to be like the latter.
' Invite worshipers to pray about their gifts using their hands. Raise your hands still cupped up to God. While all hands are so raised thank God for all the gifts given to each of us. Name the ways we enjoy and benefit from those gifts. 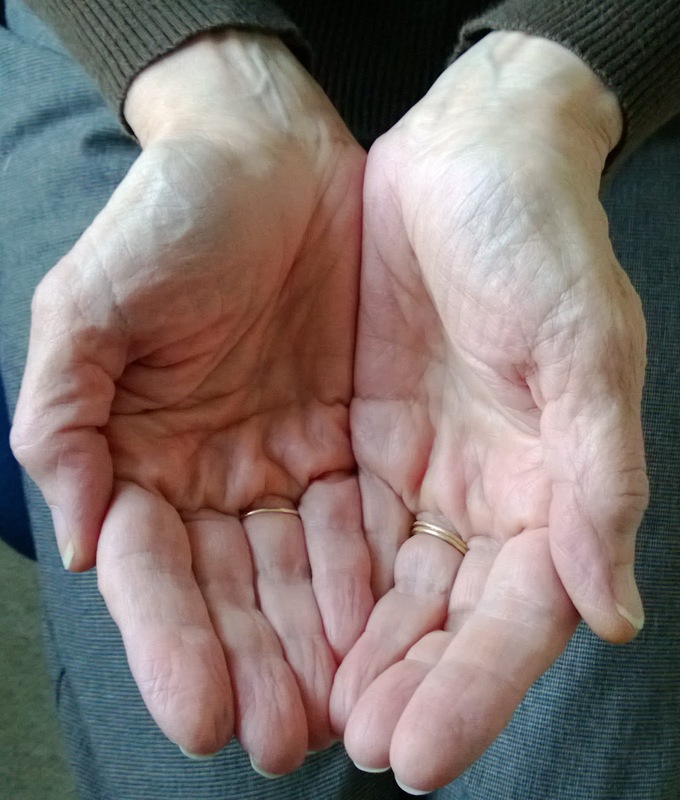 Hold your cupped hands out as if offering what is in them to the world. While hands are in this position, promise God to use our gifts to love and take care of others. Fold your hands in prayer. Pray for God to help you use all these gifts wisely and lovingly.
' Ann Weem’s poem “Gift of God” (Reaching For Rainbows, page 34) includes images that are too complicated for children. But the opening lines and the closing line, “Gift of God, I thank God for you” could be used to celebrate the gifts we are to each other. This poem fragment could be used today or next week. Display a gallon milk jug. Talk about how many glasses of milk or juice you could pour out of it. Then read verse 6 and imagine how many glasses could be poured from 20-30 gallon jugs. Then do the math. If each stone jug held 20 gallons how many gallons would the six jugs hold. Marvel at how much wine this was! Or, gather 20 one gallon milk jugs to give an even clearer picture of how much water was in each stone jug. 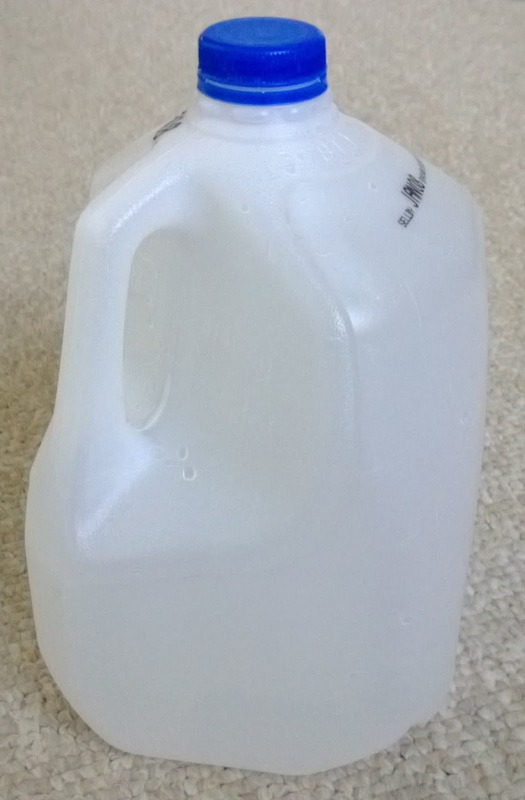 For impact, start with a single milk jug up front and have a group of children bring 19 more in to pile around you.
' Jesus turned ordinary water into fine wine. Jesus can also turn everything that seems ordinary in our lives into something amazing – like water into wine, coal into diamonds, sand into glass, or bits of fabric into a quilt. (This idea came from Lutheran seminary professors.) With children I’d present fabric scraps and a quilt. This may be an opportunity to feature a quilter in your congregation. You could use it today to explore how what looks plain on its own can be turned into something beautiful when worked into a larger item by a real artist. Or, you could save it for next week’s text about the importance of each gift to the whole body.
' “In Cana at a Wedding Feast,” by Carolyn Winfrey Gillette, is a great hymn for beginning to think about Jesus’ ministry. Each verse recalls a familiar story with the last verse summarizing their significance. To help children identify and follow the stories, before singing it present a prop for each verse: a wine glass, a basket with rolls and fish (maybe plastic ones from the nursery toy box or cardboard cutouts), a toy boat, and a pair of glasses for healing a blind man. To help further, print a small picture of each beside the verse printed in the bulletin or projected on a screen. The words to the hymn and information about permissions to use it are found at Hymns by Carolyn Winfrey Gillette. Thanks for getting my mind moving. I am going to use the hands prayer with everyone but to begin the children's time, I am going to bring stick-on bows for each child and tell them that each one of them is a present waiting to be opened. We will talk about gifts God builds inside of us. Then we will pray the hands prayer with the congregation. Stick on bows - what a neat idea! Sometimes older folks have more trouble than the children in believing that God has given them gifts that are still operative and that they can give. Go for it!